Do You have trial Reset Keys? | WIC Reset Utility. Reset the Waste Ink Pad Counters by WIC. Yes We have Trial, Demo Reset Key. You’ll not need go to Epson Service Center and bring Your printer there. Epson Service Centers engeneers will charge reset fee about 40-50 USD. 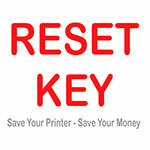 Reset Your printer by Yourself at Your own home or office! Few clicks and few minutes! Your printer will be ready to print! « I have paid for Reset Key but have not received it?